The KBS folks are very busy people these days. They are always on the phone talking people through different products and projects. I asked them "what is the most common project or question?". 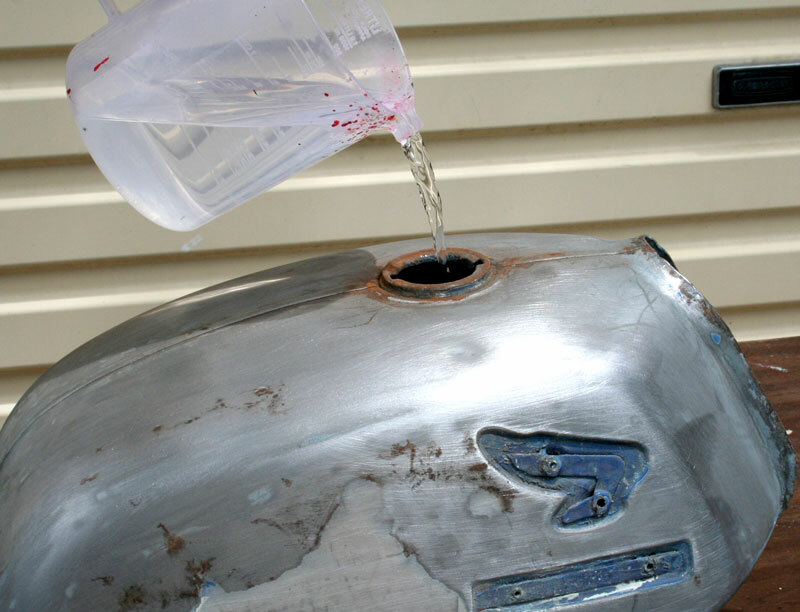 One of the questions they get a lot is, “How do I fix my leaking motorcycle/car gas tank?”. 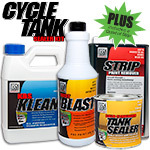 The motorcycle tank sealer kit is one the biggest sellers and people always want to know how to use it … what is the best way of tackling it? … How hard is it to do yourself? So I volunteered to restore an old tank just to show everyone how easy it is. Me and my big mouth. I found myself a tank off a 1970’s Honda 175. A gas tank a friend had because “he’s going to restore it one day.” Knowing my friend like I do, I can safely say that the tank will not be restored anytime soon, if it is left up to him. Maybe after I show him how easy it really is, he will be inspired to go out and get another tank so he can restore it himself. 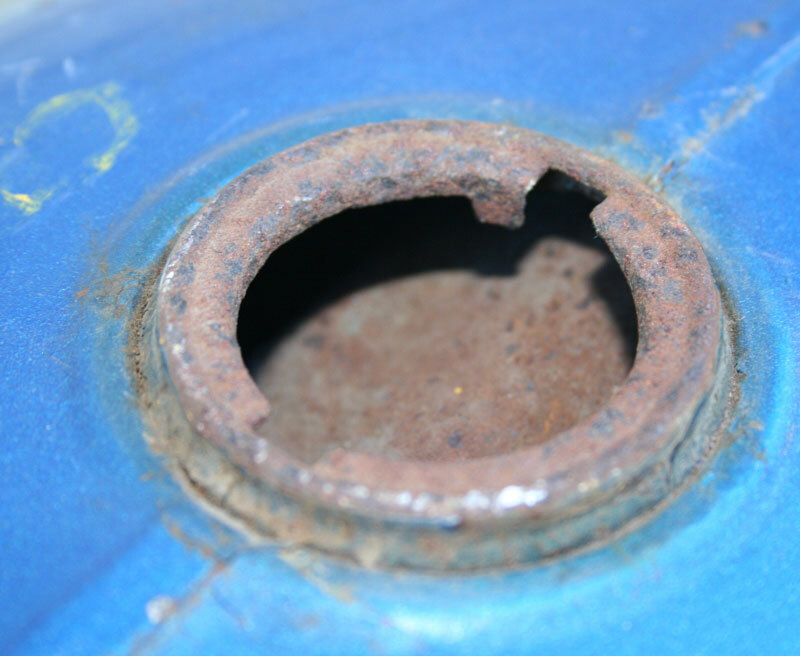 Moving right along … I had myself a very ordinary looking rusty gas tank. I am going to do a full restoration on this tank. 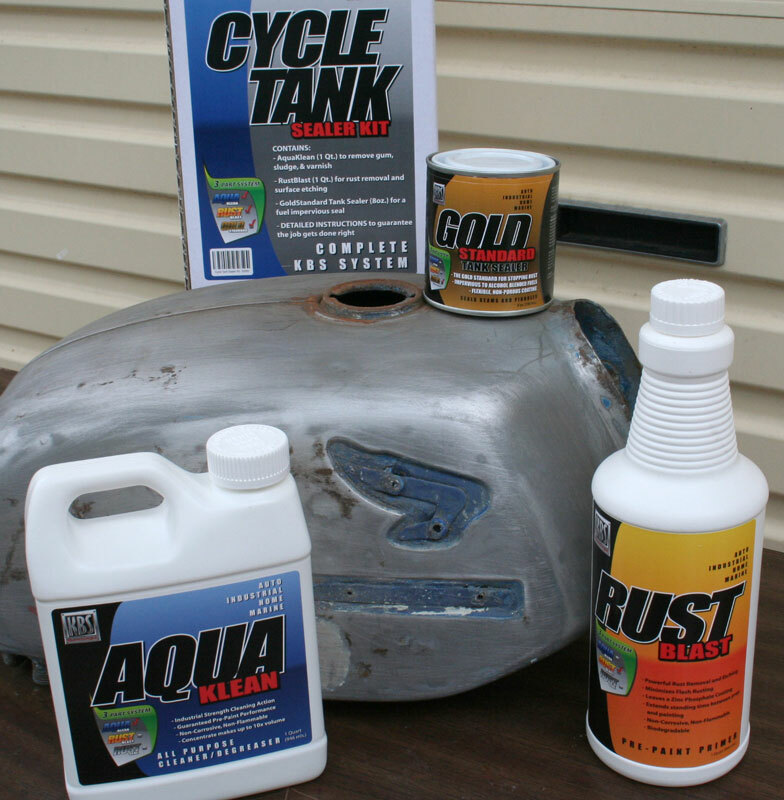 Now, of course, if your tank was in good condition and just had a leak or needed sealing to stop it from rusting, you don’t have to do the whole stripping and repainting part. 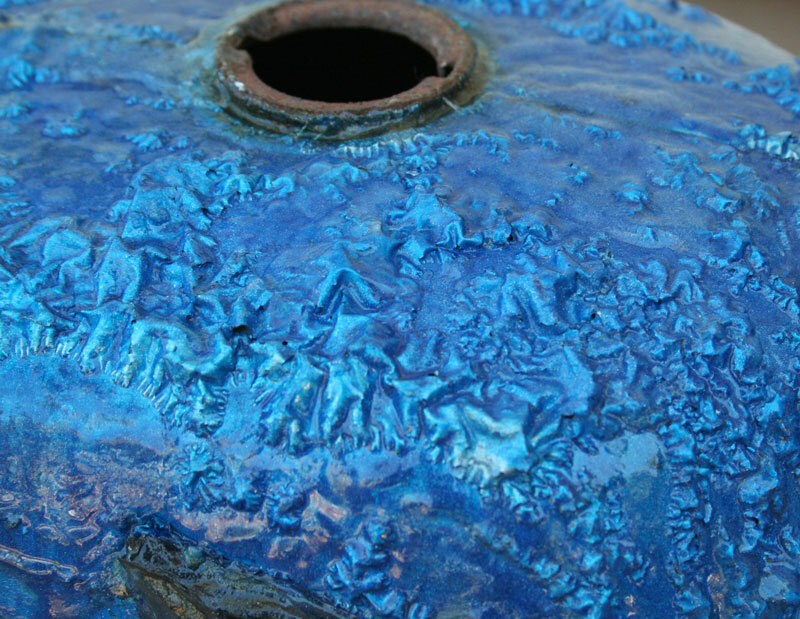 There is a lot of rust in the tank and on the outside. 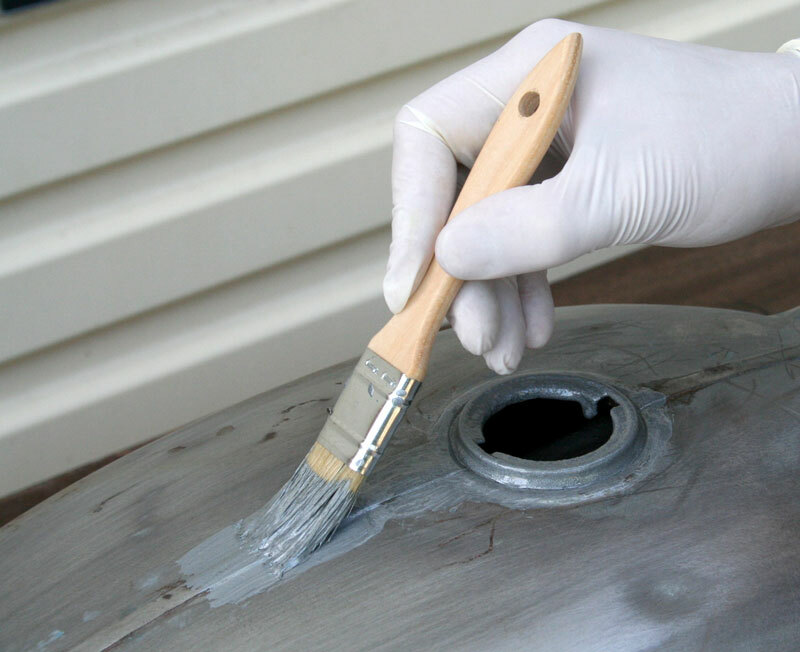 The first thing to do is remove all that old paint which is hiding even more rust. I use paint stripper …this is a good way of removing the paint, it is cheap to do and quite safe with no chance of panel damage. On the other hand, it can be quite messy and can be time consuming. 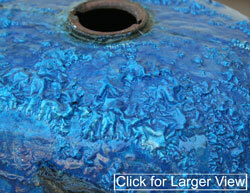 Of course, you can take it to a paint stripping company or have it bead/sandblasted. But we are staying with a do-it-yourself theme here. So I scraped the worst of the paint off and then got the hose out and gave it a good rinse. I then prepped the outside of the tank as much as I could. I used a few basic tools …the best being sandpaper and elbow grease. You want to avoid power tools if possible because any excessive heat generated by the power tools could distort the panels on the tank. I got as much rust off the outside as I could. There was a lot of rust on the seams ... we will be coming back to that later. 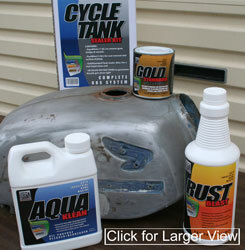 It is also at this stage that you will want to do any work that is needed on the tank … like repairs or panels. All this tank needed was a little filler here and there but other than that we are ready to go. And just so you know … if your tank is in good condition on the outside and just needed sealing on the inside …this is where you would start. Always read the instructions, but if you are at all confused, give the people at KBS a call and they will help walk you through the process. But it really is pretty straight forward stuff. The first job at hand is stopping everything I pour in the tank from pouring out. A little wine cork and some duct or electrical tape is ideal, but just use whatever you have on hand as long as it works. I then poured out ½ the quart of KBS Klean and mixed it with some warm to hot water. I poured the solution in … no special tools here … just give it a shake and then another every few minutes. If the tank is old and well-used like mine, you will be able to smell all the gunk the KBS Klean is dissolving inside the tank and you suddenly realize why you have to clean the tank. After about 10 minutes I tipped the solution out and boy it sure looks different now – nasty! 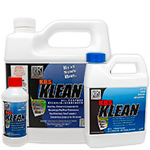 Just repeat the cleaning process with the remaining solution of KBS Klean and rinse with water. I now have a clean but still rusty tank. Next, I simply poured in the RustBlast (rust remover and metal etch). I also left a little in the bottom of the bottle for later, not more than an ounce. 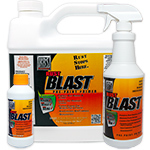 This is a simple step … just give it a shake every 3 or 4 minutes to keep the inside surfaces wet. I just did this while I was in the garage working on something else. After about 45 minutes, I drained it out and rinsed it again with water. The RustBlast didn’t remove all the rust but it did get rid of most of it. The sealer is more than able to handle any remaining corrosion. 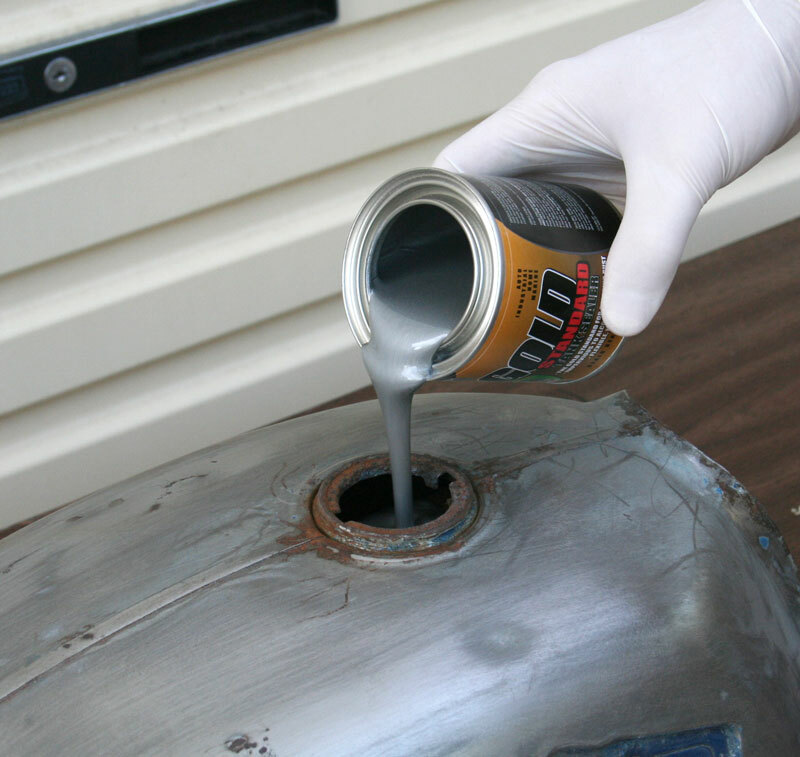 The folks at KBS tell me the gas tank sealer is quite similar in chemistry to their rust paint RustSeal and is able penetrate the porosity of the corrosion and seal it. I guess that makes sense as their RustSeal product does a similar thing. Oh yea … I also treated the outside seems with the remaining RustBlast, just using a small brush. At this point, I made sure that the tank was bone dry on the inside. Now for all you type A personalities out there, do not go and get the gas torch and give it a cook up! One of the easiest ways to get the inside bone dry is to use a heatgun (the type for stripping paint). Or what most people use but do not boast about is their wife’s blowdryer. Just warm the tank up and all the water starts to evaporate. 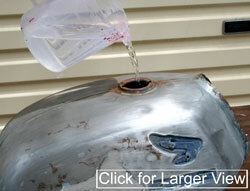 I was able to see the water vapor coming out of the top of the tank. It took about 30 minutes and the inside of the tank was completely bone dry. It is now sealing time! Open the can and give it a good stir and pour the whole contents into the tank. There will be a little left in the can and I will use that in a minute. Slowly tip & rotate the tank all around until all surfaces are evenly coated. 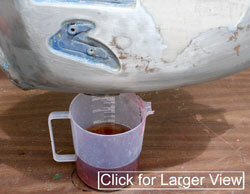 You’ll have a minimum working time of 20 minutes with the Sealer. I propped the tank up and drainedout the excess sealer by tipping it in some different positions...it took about 20-30 minutes. I left the tank to cure. With the left over sealer in the can, I painted the seams and welds on the outside of the tank to make doubly sure I had that tank sealed. 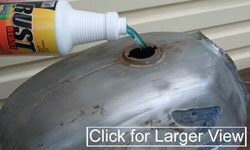 This of course can only be done if the tank has been stripped and is being completely repainted. 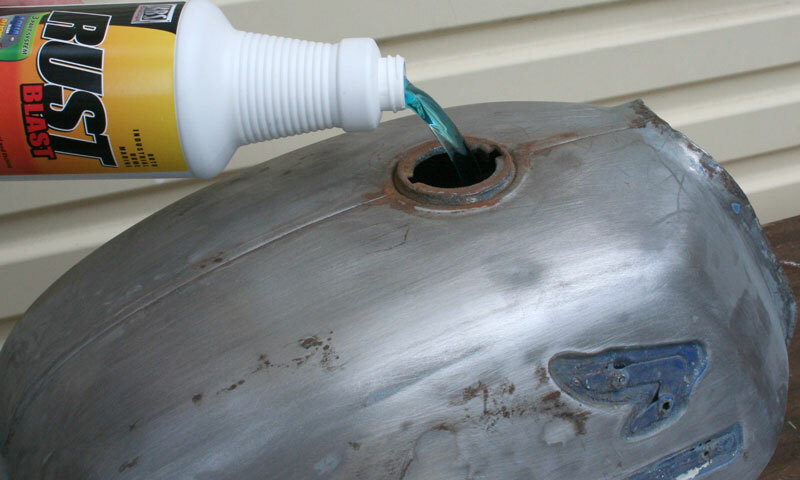 It is also at this point if you have any rust on the outside that you prime it with RustSeal before carrying on with regular automotive primers and topcoats. There you have it! 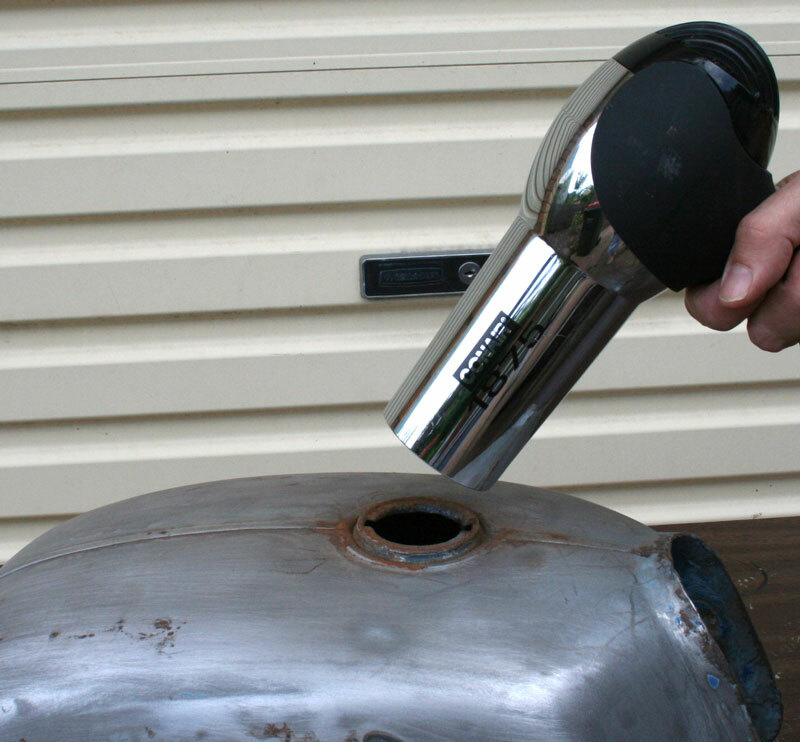 Let the gas tank sealer cure at least 4 days before adding fuel, and you're ready to roll!